We’ve been talking about it for years. 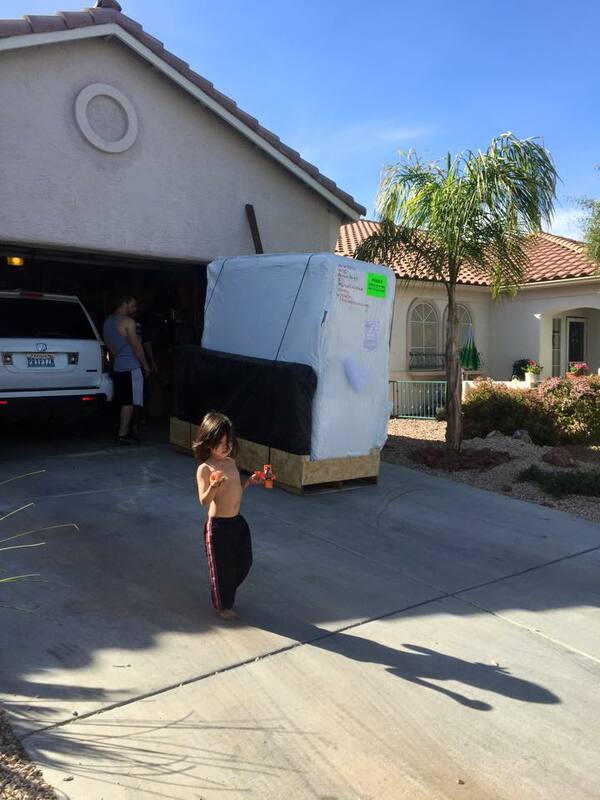 For Valentine’s Day, we decided to purchase ourselves a hot tub. “Oh no!” What if we were scammed? A bounced email in the inbox the day after the order was made..
Then… last week we received a glorious call from the delivery company. There it was. In our driveway. It cost us half the price, but now we needed to get the thing from the front to the back on our own. There he was. 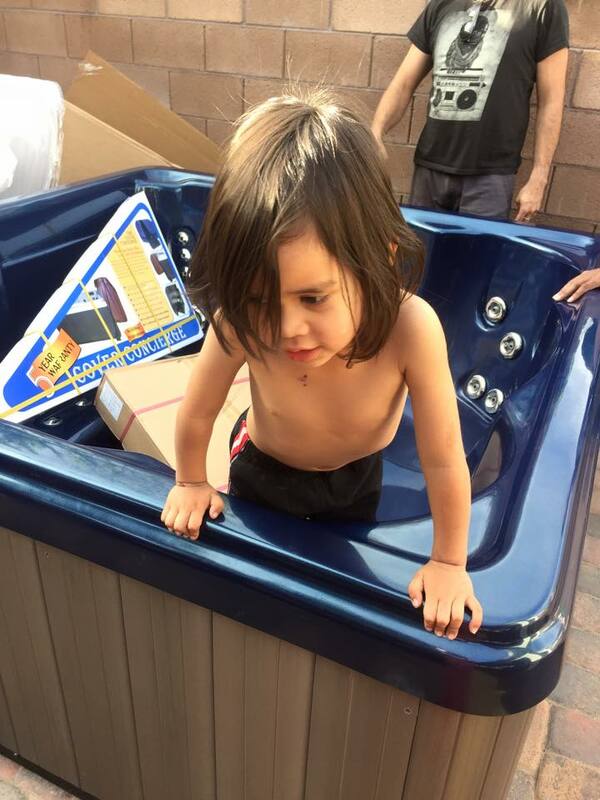 Jackson inside the empty hot tub. Yesterday my awesome handy man husband spent the morning converting the electrical outlet to support the power. We spent evening waiting for it to heat up. And…after the kids fell asleep, we snuck out to enjoy wine, cheese, and crackers under the stars. This morning, Marley and I hopped in for some mommy/Marley time before she hopped in the shower before getting ready for school. looking forward to enjoying my morning coffee in that thing from now on. Congratulations! Looks like loads of fun. You are such a groovy lady. I’d love to come over one morning for some coffee and hot tub.